I’ve had the Rocky Horror Picture Show classic, ‘The Time Warp’, stuck in my head for the past couple of days. And when I thought about these lyrics, they suddenly seemed rather telling in regards to the heavily contested debate over climate change and renewable energy targets happening in Australia right now. As a species, humans have the unique ability to imagine, to reflect on the past and consider the future. Yet when it comes to climate change, our imaginations seem to have hit a developmental stumbling block, as we display an inability to properly grasp the horror show that lies ahead if we don’t act now. I’ve spent the past few weeks working intensely on media relations for Western Australia’s largest, most diverse group of organisations and individuals to come together on climate change. The RenewWA coalition includes more than 40 signatories, ranging from health advocacy groups, such as Doctors for the Environment Australia; environmental organisations; the renewable energy industry; faith groups; workers’ unions; and farmers; as well as the distinguished epidemiologist and former Australian of the Year Professor Fiona Stanley, who is at the forefront of this broad base movement. RenewWA will this month be hosting two public forums on climate change and the urgent need to transition from fossil fuels to renewables ahead of the WA state election on 11 March. 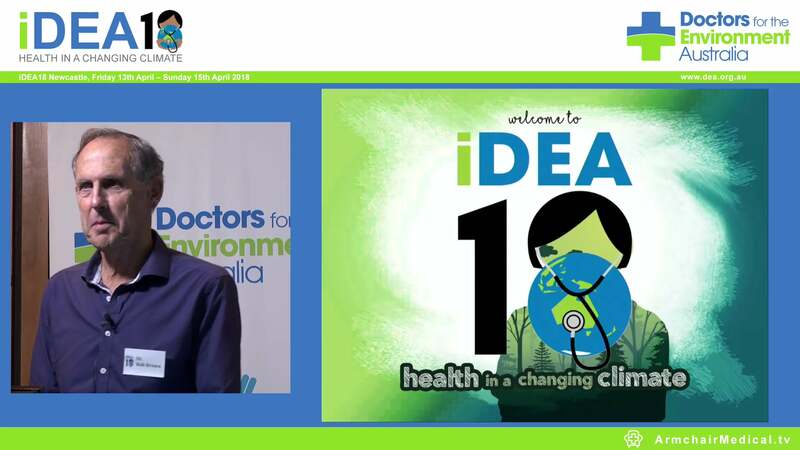 They will feature presentations by a powerful and influential list of speakers, including Professor Fiona Stanley; Michael Lord (Director of Research at Beyond Zero Emissions); Professor Bruce Armstrong (arguably Australia’s most outstanding public health scientist); Professor Kingsley Faulkner (chair of Doctors for the Enviornment Australia; and former president of the Royal Australasian College of Surgeons), Professor Ray Wills (recognised as one of the top 100 global leaders in sustainability); and Professor Peter Newman AO (Order of Australia recipient, credited with saving and rebuilding Perth’s rail system). You can get more details about these forums and book here. The public’s response has been phenomenal. The first event has been booked out and it’s likely the second one will also attract fierce public interest. However, there has been lack of interest in the event from the right side of politics (every Liberal MP that was contacted turned down the invitation) and mainstream media — even after highlighting Professor Stanley as one of the drivers. This has baffled and frustrated me. If every side of politics doesn’t believe or doesn’t want to hear from one of the nation’s top scientists, a former Australian of the Year, a recipient of the Companion of the Order of Australia, a National Trust Australian Living Treasure, an Olympic torch relay runner, then who will they listen to? I mean, the woman has been on an Australian postal stamp? Professor Stanley this week released a report she co-authored with Dr Donna Green from the University of NSW Climate Change Research Centre and Nobel Prize winner for Medicine Professor Peter Doherty. It called on the Australian Government to urgently fund research into the impact of climate change on human health, saying Australia had neglected to fund this research despite the area being pinpointed by government as a priority 25 years ago. This report came as Australia’s resources minister Senator Matt Canavan announced he was seeking a $100 billion investment in coal and the Deputy Prime Minister Barnaby Joyce said it was “morally prudent” for Australia to invest in coal. At the same time, conservatives have campaigned the federal government to dump the Renewable Energy Target (RET), while Prime Minister Malcolm Turnbull attempted to push state governments off their own ambitious renewable targets. So … why is the right so damn resistant to respected and expert voices calling out the facts? I may veer more to the left side of the road, but my Dad has worked in farm insurance for more than 40 years (and I’ve spent more than a few summers filing away cancelled insurance policies after multiple crop failures due to drought and floods, inputting data about drought devastated yield estimates and doing his coffee runs) and so I am no stranger to the concept of risk management. The conservative side of politics always stood out to me as promoting, among other things, national security, a safe economy, job and business opportunities. So, since the words “environment”, “green”, “sustainable”, “conservation” and even “climate change” still conjure up images of leftist greenies standing in front of bulldozers and strapping themselves to trees that seem have the right wing rolling their eyes and squirming around in their blue ties, let’s talk jobs, household bills, security and the economy. Our economic security as a nation depends not only on big, creative ideas and entrepreneurialism, but also sensible, risk averse decisions on investment. Countless surveys and studies have concluded 97% of climate scientists and every national scientific academy believe the earth is heating up and humans are responsible. It’s a big gamble to be swayed by the 3% of climate scientists who don’t concur, especially as many of the world’s biggest economies and investors accept the robust evidence. China recently announced it would invest US$361bn into renewable energy over the next four years, creating 13 million jobs. In the U.S., the solar industry now employs more people than coal, oil and gas combined. Renewable energy infrastructure is becoming cheaper and cheaper, and if individuals and private enterprise continue to invest in solar and wind, and states set and increase their own renewable energy targets, the need for coal will become less and less. The cost of building large-scale solar has decreased by about 40% since 2010, already making it cheaper than coal. Not to mention increasing carbon prices and the social and environmental costs of air pollution. A report released by the CSIRO and University of Melbourne found the Government’s plan to reduce coal-generated electricity emissions by 27% with new “clean” coal power plants, would cost more than $60 billion. The cost to achieve this with renewables? Half as much — between $24bn and $34bn. Building coal-fired power stations in any part of the world has become increasingly economically irresponsible and will only serve to drive up household power bills. Without carbon capture and storage it won’t decarbonise our electricity system, and its emissions are still higher than gas. The Federal Government agrees people are responsible for climate change and has promised to meet its emissions reduction targets under the Paris agreement, even if this is looking highly unlikely at this point. So, if it agrees with the science, where is the protection for our nation’s security? The Guardian recently reported fossil fuels have become a leading cause of death globally, just behind tobacco. Coal, oil and gas fuel climate change, which increases extreme weather events such as bushfires, heat waves, drought, cyclones and floods, that not only directly impact on lives during the disaster, but also lead to chronic health conditions, spread of disease, food and water shortages, and mental health disorders. We also must take into consideration the threat fossil fuel poses to global communities, especially third world countries. In the 2016 Asian Heatwave alone, close to a billion people were affected with the event resulting in temperature-related illnesses and deaths, water shortages, crop failures, dead livestock and declining business ventures. And for the side of politics intent on keeping our borders tight, surely they can see that natural disasters and drought will increase numbers of migrants, refugees and asylum seekers, especially from poor nations, seeking a better life in wealthier or more environmentally stable countries. As Prime Minister Turnbull and others keep pointing out, it’s imperative to have a reliable electricity supply. As well as the inconvenience of not being able to use your hair straightener or coffee machine in the morning, people are more likely to die during power outages. Communication breakdowns can delay emergency responders, there are more accidents in the dark – especially on the roads – and extreme cold or heat put children and the elderly at particularly high risk. But their never-ending declarations that renewables are an unreliable power supply as they are only available when the “wind’s blowing and the sun is shining” is ridiculous. Using the power black-out in South Australia to illustrate this is intentionally misleading. Publicly available investigations have clearly stated the outage was not caused by failing wind turbines. Big stormy winds blew the transmission lines over and coal power wouldn’t have helped in the slightest. In this regard, centralised power generation is inherently riskier than distributed local generation. The fact that the Federal Government and PM Turnbull himself have identified energy storage as key to reliable energy supply demonstrates that they do understand solar and wind technologies are not determined by day-to-day weather events. The prime minister’s push for investment in so-called “clean” or ultra-supercritical coal plants will not solve reliability or electricity bill issues. These plants only perform well if they are working to full capacity all the time. They are expensive to start and can’t rapidly ramp supply up and down. In the case of WA, as Sustainable Energy Now researchers point out, the State’s grid already relies on a mix of energy sources and more can be done to guarantee reliability. When the winds are still and clouds heavy, biomass and energy storage could be used. Locating wind plants in different areas would ensure wind energy coverage, with solar PV’s varied orientation and wide distribution on rooftops evening out the impacts of localised cloud cover. When wind and solar exceed the load on the grid, storage facilities would be charged and biomass thermal back-up could also be incorporated to cope with the reverse. The energy transition is happening and we have a choice: to be leaps ahead, or miles behind. WA, with its plentiful wind and sun is certainly well placed to take advantage of the clean energy opportunities that will not only turn on the lights but also tackle climate change — humanity’s greatest challenge. Renew WA has called on all WA candidates in the upcoming election and the next WA government to commit to eight actions in order to meet targets expressed in the 2015 Paris agreement. These actions include support for an accelerated transition to a renewable energy economy, with a target of 85 per cent renewables in WA by 2025, with a view to consider 100 per cent renewable electricity on the south-west grid by 2030. 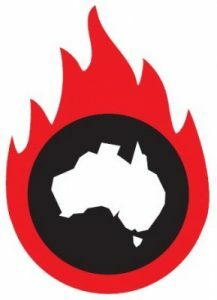 In a submission to the Australian Senate Inquiry into the retirement of coal-fired powered stations, Sustainable Energy Now (a signatory to RenewWA) modelling and analysis indicated existing coal-fired units could be replaced with wind and solar PV generation, with no change to the existing gas generation plant. With the RET target factored in, the transition (including the installation of new transmission infrastructure required for the renewable energy technology) could be achieved with little or no increase in existing wholesale electricity prices. RenewWA’s eight actions are entirely possible and not only economically viable, but economically profitable. And it doesn’t even require a jump to the left. Just perhaps, a little imagination to facilitate a time warp into the future. Amy Marshall is a member of Doctors for the Environment Australia.